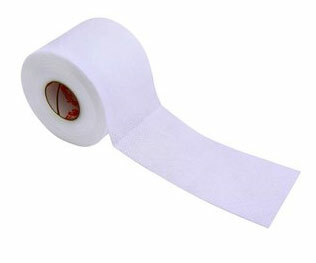 3M Medipore H Soft Cloth Surgical Tape provides superior adhesion with maximum breathability. Moderate Stretch accomodates swelling and movement while maximizing comfort. Excellent adhesion yet gentle to the skin. Meets what needed to a T.
It holds a large bandage in place until I have to change it.